Anthony James JOHNSTONE was the son of William JOHNSTONE of Hawera. 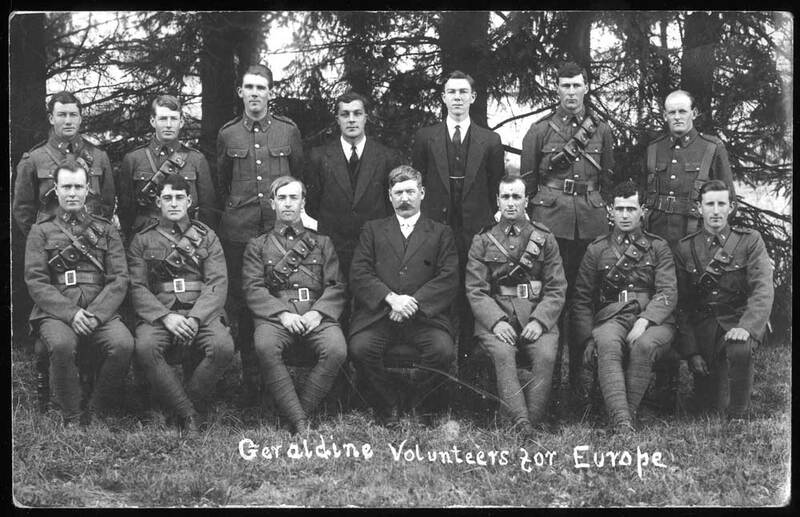 before enlistment, Anthony was living at the Crown Hotel in Geraldine and working as a carter. He was one of the addiitional men passed and sworn in on the night of 13 August. The next moring, 14 August, they were to fall in at the Drill Shed at 9.30 and leave Timaru at 1.30 for the camp at Addington. Theye were to be photographed prior to leavining. Th Stipendary Magistrate very kindly sent a big bundle of literature and some packs of playing cards for the use of the troops and another gentleman gave magazines, all of which were appreciated. Mr T. G. Towley, dentist, was also thanked for attending to the teeth of the men, free of charge, and doing all that was possible for all those whose teeth required attention. Mr Hanson Gould, carrier offered to do any carting and on 13 August his services were requisitioned for carting fodder, etc. 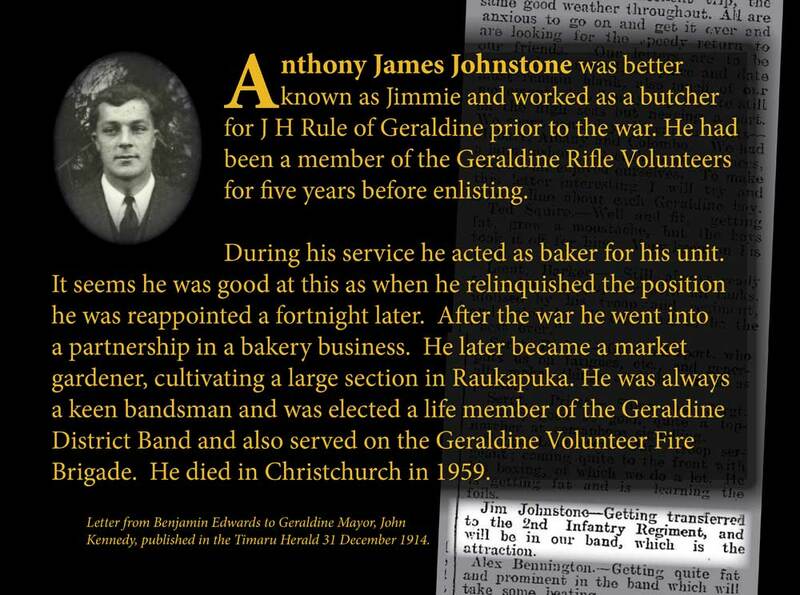 Anthony James probably departed (J. Johnstone) with the Mounted Men by the slow train from Timaru on 17 August 1914, amidst much excitement in the town, whilst their horses were trucked at the Smithfield siding, Waimataitai. The Mayor spoke of the pride in them and said that they were going forward with stout hearts and strong arms. "Be true lads to your King and Empire, to yourselves and your country, and put your trust in God," he said.